I love all-in-one meals in the Thermomix and this one is has quickly become a favourite in the various iterations of testing. Chicken and vegetables are steamed in the Varoma while the sauce cooks in the Thermomix bowl. The sauce is made with leeks, garlic, stock concentrate, milk, Dijon mustard and parsley. Check out the super easy technique for chopping parsley in the Thermomix. 9. 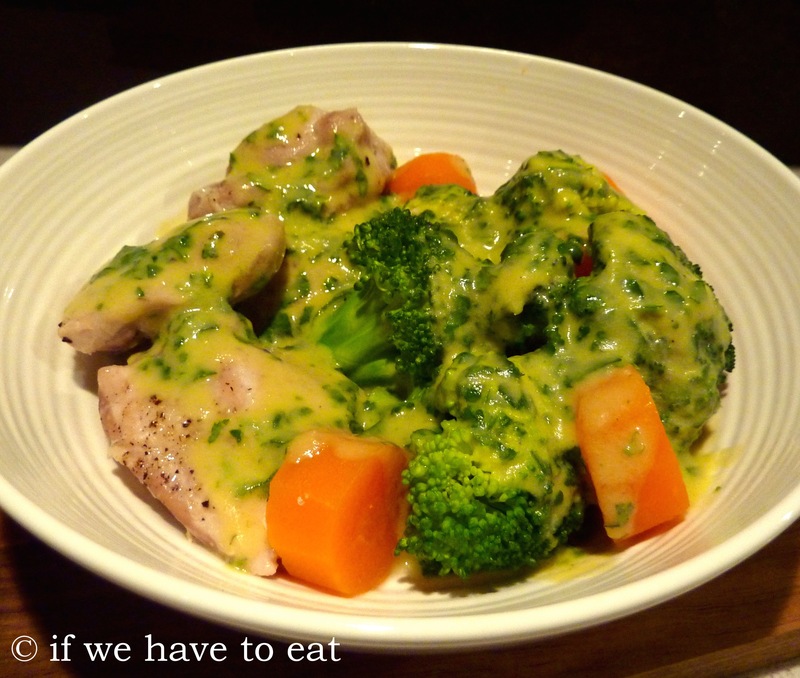 Stir parsley leaves through the sauce, season with salt and pepper and serve over the chicken and vegetables. Pingback: Las mejores recetas de brócoli con pollo ¡que hayas probado! Glad to here it worked with the onion too – I usually have more of those in the fridge than leeks! This entry was posted on August 17, 2014 by ifwehavetoeat in Mains and tagged Mains, Make Ahead, Poultry, Recipe, Sauces, Thermomix, Varoma.